We Visit Italy in 2007. In this posting, we are in Central Rome!! We visit Italy in 2007 continued. In fact, the posting I am now going to give you is the Opening Posting. The posting of 2018 10 02 was out of order. 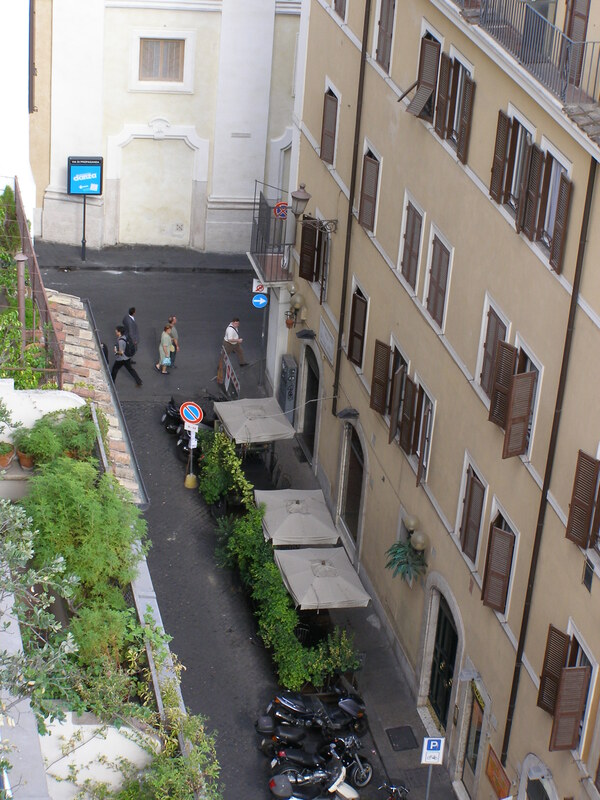 In this article I describe some of the confusion we experienced on obtaining access to our accommodations (in down town historic Rome) BUT I can assure you, it was well worth it. Let me explain, “well worth it”. The pic looking down to the street, was taken from our apartment. 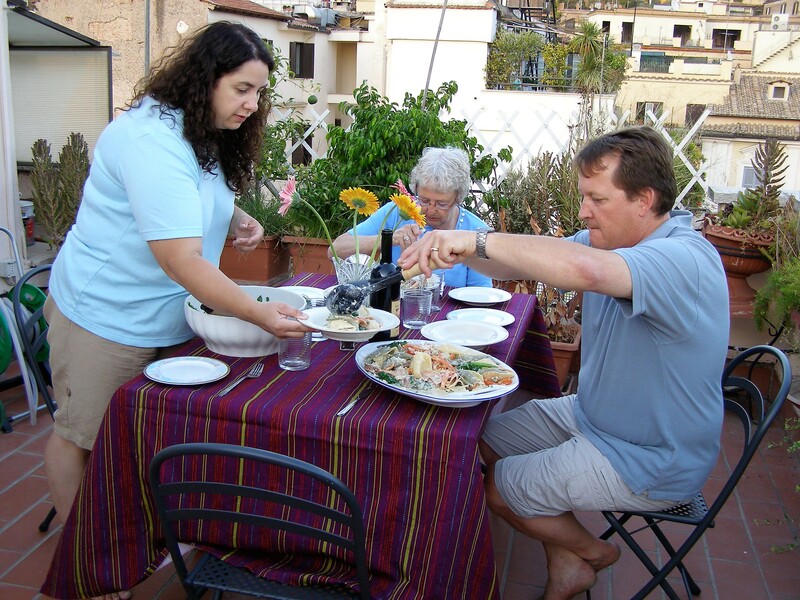 The other pic is of us enjoying a fine dinner on our open patio, overlooking Rome. We had a WONDERFUL VIEW!! Click on the link to read the STORY. Stan writing in Bobcaygeon, 2018 10 03.